Action Figure Expo is very happy to welcome veteran actor MICHAEL BELL to the 2017 convention. Fans of the 80s will remember him as the original voice of Duke in G.I. Joe: A Real American Hero. Transformers fans know him as the voices of Prowl. Sideswipe and Swoop in Generation 1. Fans of the 80s will also remember him as the voice of Duke in GI Joe, Lance in Voltron, plus Grouchy, Lazy and Handy Smurf in The Smurfs. Bell will be available for autographs and photos all day Sunday, July 16th at the Hilton Mississauga/Meadowvale. A quick reminder for Toronto area 80s collectors, 80s Toy Expo 2016 is this Sunday, May 1st at the Hilton Meadowvale/Mississauga Hotel– 6750 Mississauga Road, Mississauga, Ontario from 10 am to 4 pm with free parking. Meet WWE Hall of Famer “The Mouth of the South” Jimmy Hart and Stephen Costantino who played the Gamorrean Guard in Return of the Jedi. Both will be available for autographs and photos all day. The 2016 80s Toy Expo will be Sunday, May 1st at the Hilton Mississauga/Meadowvale Hotel – 6750 Mississauga Road, Mississauga, Ontario. Ontario Collectors Con 2016 will be Sunday, January 24th at the Hilton Meadowvale/Mississauga (formerly Delta Meadowvale) Hotel – 6750 Mississauga Road, Mississauga, Ontario from 10 am to 4 pm with FREE PARKING. 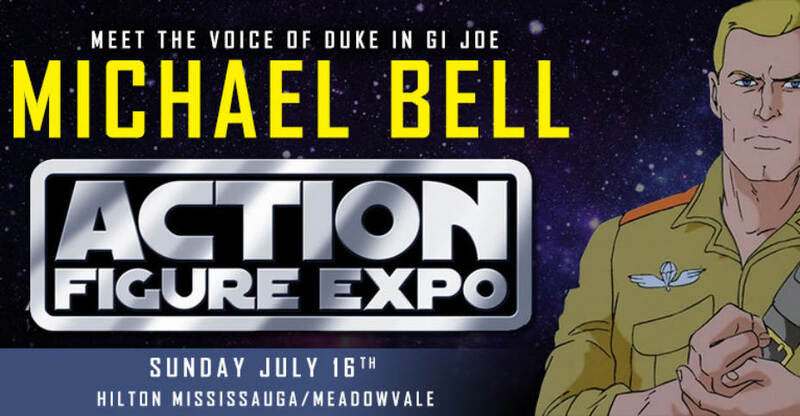 Voice actor Michael Dobson will be a guest at the 2016 Ontario Collectors Con this year. He has voiced a long list of characters including STARSCREAM in Transformers Armada/Energon/Cybertron, LEONARDO in Ninja Turtles: The Next Mutation, COBRA COMMANDER in G.I. Joe: Spy Troops and G.I. Joe: Valor vs Venom, HULK in Ultimate Wolverine vs Hulk, both BATMAN and the JOKER in Batman Black and White and many more roles He will be available all day for autographs and photos. The show features a huge selection of vintage 80s and 90s toys and all the latest releases from today such as Transformers (vintage and Japanese imports), Star Wars (new and vintage), GIJoe (vintage and modern), Masters of the Universe (vintage and modern), Super Heroes (Marvel Universe/Legends, DC Universe etc), Wrestling, Power Rangers, and tons of other toys, comics and collectibles. The 2016 Ontario Collectors Con will be Sunday, January 24th at the Hilton Mississauga/Meadowvale Hotel – 6750 Mississauga Road, Mississauga, Ontario, the same location as 80s Toy Expo, with many of the same dealers setup at this event. AFX is very happy to welcome Morgan Lofting to the 2015 Canadian Action Figure Expo this year. Best known for playing the Baroness across both the Sunbow- and DiC-produced seasons of G.I. 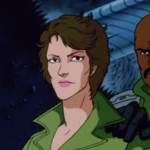 Joe: A Real American Hero, Lofting has also played such characters as Firestar and Moonracer in Transformers Generation 1, Princess Invidia on Star Blazers, Black Cat in the 1981 Spider-Man series and Fistina on Ben 10: Omniverse. She will be available all day for autographs and photos. Morgan Lofting will be a guest at the 2015 Canadian Action Figure Expo this year. Best known for playing the Baroness across both the Sunbow- and DiC-produced seasons of G.I. 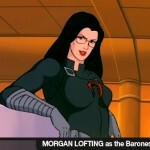 Joe: A Real American Hero, Lofting has also played such characters as Firestar and Moonracer in Transformers Generation 1, Princess Invidia on Star Blazers, Black Cat in the 1981 Spider-Man series and Fistina on Ben 10: Omniverse. She will be available all day for autographs and photos. The 12th Annual Canadian Action Figure Expo is September 27th at the Hilton Mississauga/Meadowvale – 6750 Mississauga Road, Mississauga, Ontario. The show features a huge selection of vintage 80s toys and all the latest releases from today such as GIJoe (vintage and modern), Transformers (vintage and Japanese imports), Star Wars (new and vintage), Masters of the Universe (vintage and modern), Super Heroes (Marvel Universe/Legends, DC Universe etc), Wrestling, and tons of other Action Figures and collectibles. The 2015 Ontario Collectors Con will be Sunday, February 1st at the Delta Meadowvale Hotel and Conference Centre – 6750 Mississauga Road, Mississauga, Ontario from 10 am to 4 pm with free parking. In a rare appearance WWE Hall of Famer Road Warrior Animal will be a guest at the 2015 Ontario Collectors Con. 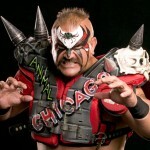 Along with Road Warrior Hawk, Animal was one-half of possibly the greatest tag team of all time: the Legion of Doom. Animal will be available for autographs & photos in face-paint with his trademark spiked shoulder pads from 11-3. Veteran voice actor Ron Rubin will be joining the 2015 Ontario Collectors Con on February 1st. Fans of the 80s will recognize his work as Dr. Badvibes in the popular 1980s cartoon C.O.P.S., Artemis in the English version of Sailor Moon, the Vision in The Avengers: United They Stand, Germs Pondscum in Beetlejuice and Morph in X-Men. He will also be available for autographs and photos. The show features a huge selection of vintage 80s and 90s toys and all the latest releases from today such as GIJoe (vintage and modern), Transformers (vintage and Japanese imports), Star Wars (new and vintage),Masters of the Universe (vintage and modern), Super Heroes (Marvel Universe/Legends, DC Universe etc), Wrestling, Power Rangers, and tons of other toys, comics and collectibles. Ontario Collectors Con 2015 is February 1st at the Delta Meadowvale Hotel and Conference Centre – 6750 Mississauga Road, Mississauga, Ontario.